This documentary depicts Mariela Castro’s, the Cuban president’s daughter, view on the completion of the 1959 revolution. The documentary focuses on Cuba’s assistance of the medical process transgender people undergo and explores such themes as emancipation and self-realization. The filmmakers document the lives of 3 transgender figures to better understand and convey the reality of being transgender in Cuba, a country with many paradoxes from seeming open-mindedness to religious repression and sexism. This colourful exhibition features the work of the renowned and highly influential graphic designer Günther Kieser, who is now in retirement. Since his retirement, Kieser has rejected exhibiting any of his works and designs. However, he not only made an exception for this exhibition, but also designed its poster. His iconic graphic designs and photographs, such as the Jimi Hendrix poster (shown above) and the skull of the Grateful Death will be on display for public contemplation. 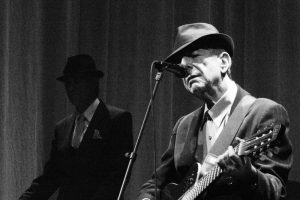 Having departed our world in November last year, the Canadian Jewish writer, singer and songwriter Leonard Cohen left behind a legacy of songs, melodies and lyrics. 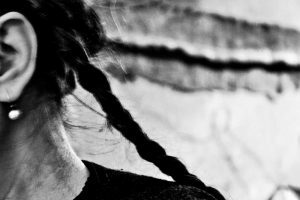 Examining his song writing as literary work, Andreas Jacke delves deeper into the various dimensions and subtexts his songs have, offering various interpretations to his work that allows us to appreciate it in a new light. OSCA, a Japanese-German-English band accompanies us during the opening night of the much-anticipated 67th Berlinale, the Berlin International Film Festival. 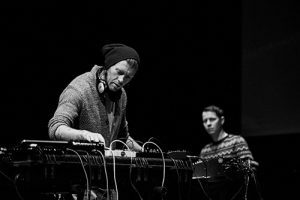 Their unconventional music fuses indie pop, electronic and jazz elements, creating a sense of hyper-modernity and classicism that reflects the spirit of this world-renowned film festival. Human nature and our creativity can often be seen as having been constructed by various conflicting factors. Wittgenstein’s philosophical views possess this dichotomy between logic and spirit, thinking and acting. This performance at Acker Stadt Palast brings to stage an extensive study of Wittgenstein’s philosophy in the forms of poetry, dance and figurative art, essentially creating a Wittgensteinian notion of performative philosophy. Silent Film concerts are an underrated experience. While most silent films from the 1920s and 1930s are accompanied by an orchestra or classical music, this one chooses múm’s electronica and post-punk live performance to accompany the classic 1930 Berlin semi-documentary “Menschen am Sonntag,” which portrays the lives of Berlin’s youth in the Weimar Republic. The internationally renowned Indian artist Bhupen Khakhar is seen as one of the figures that revolutionized modern Indian art, including narrative painting and figuration, in the second half of the 20th century. Khakhar’s painting style intertwines both high and low, popular and painterly aesthetics, as well as pop culture icons. This collection features five decades of his work, which challenged and commonly-held notions about class segregation, human love and desire, homosexuality, and chronic illnesses.